I create wearable art from thousands of tiny metal rings made from aluminum wire. My passion is pushing the boundaries of traditional craft by creating pieces of art. 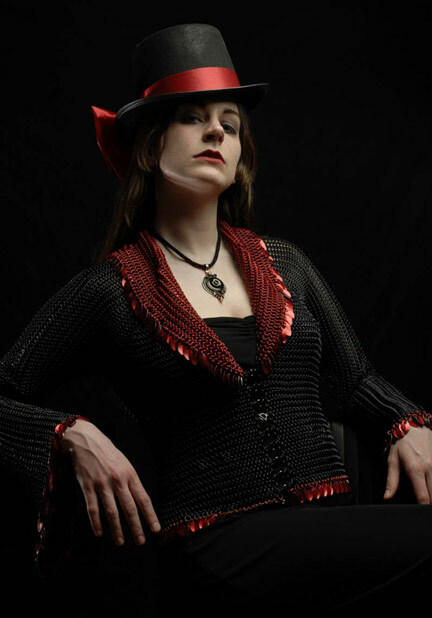 With chainmail, I love creating the unexpected with wearable, fashionable clothing pieces. 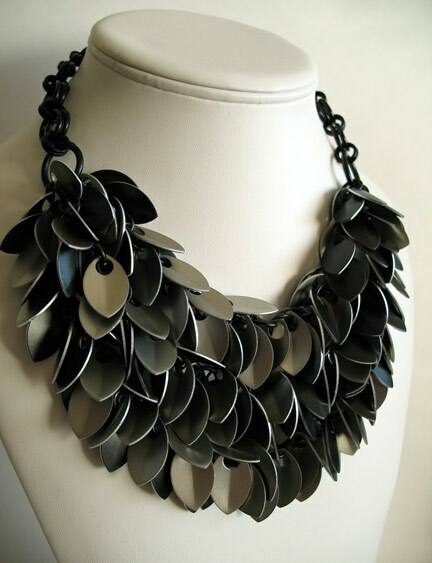 I also love making statement jewelry pieces that are lightweight and musical. I've been making jewelry since I was eight, but it's only been in the past two years that I've made my love of making a career. 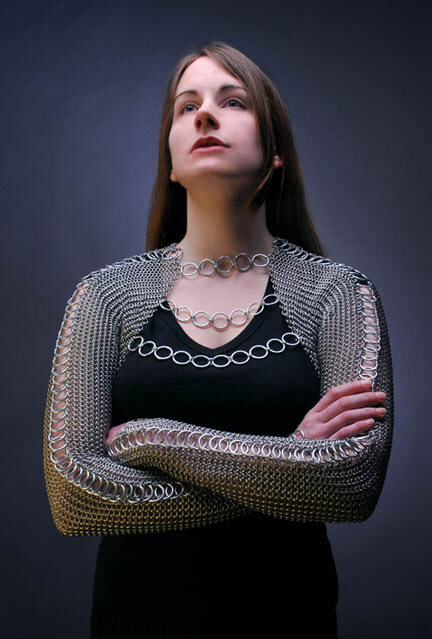 During that time, my chainmail fashion and jewelry have been featured in national exhibitions at the Museum of Fine Arts, Houston and the Indianapolis Museum of Art. My work has also won international awards, such as top honors in the British Bead Awards and the Bead Dreams competition. O... WOW! That is stunning! I love her designs... The cutting edge look is very cool... LOVE IT! I love these too. Can you remind me where those metal leaves are from? I think you had a post about these before?